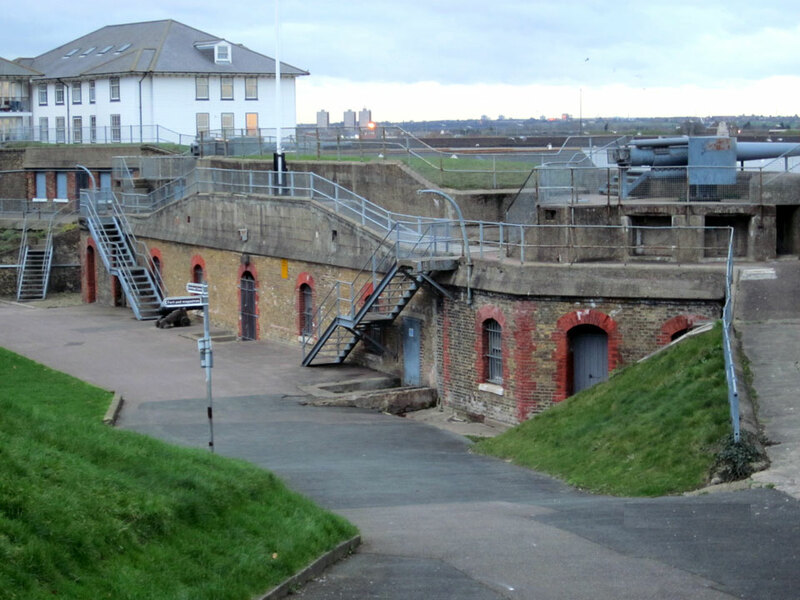 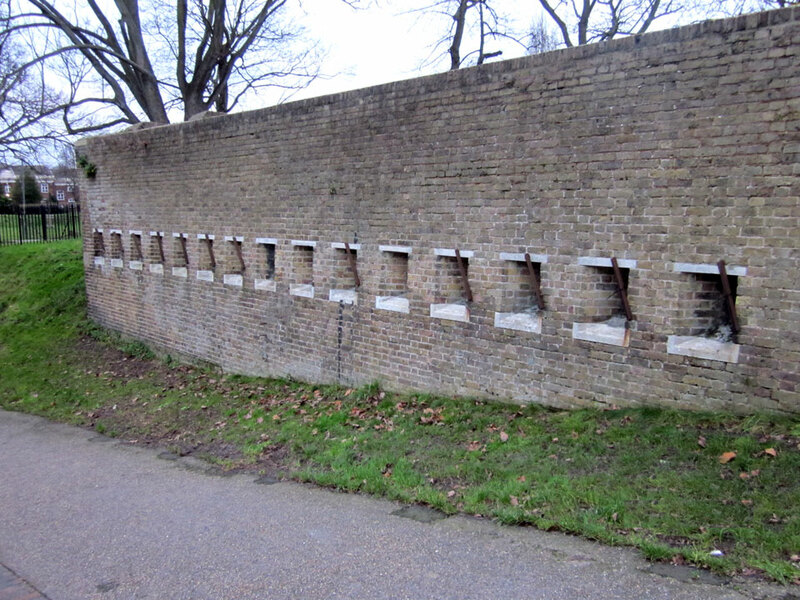 The first gun battery was built at Gravesend in 1780 on the opposite bank of the Thames to Tilbury Fort to guard the approach to London. 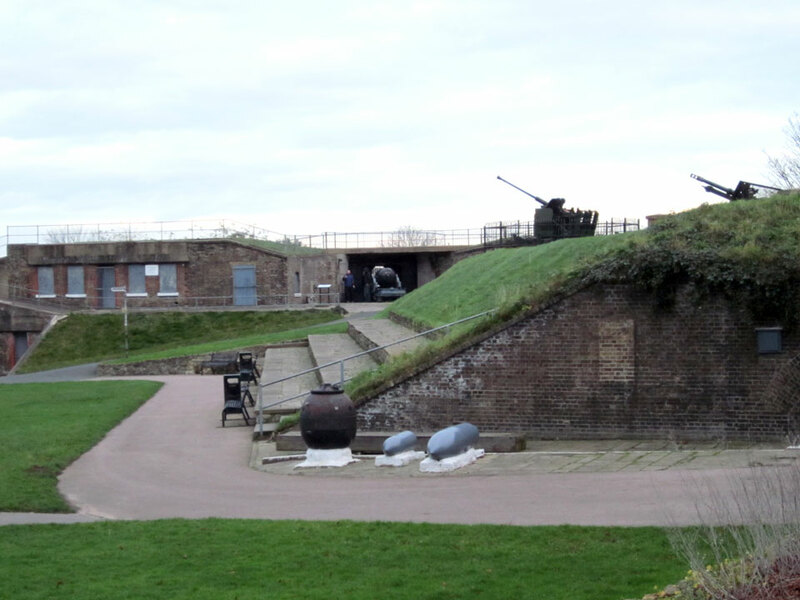 It was modernised in the 1840s and early 1860s with additional armament but in 1868 following the Palmerston report it was strengthened with earthworks and rifled muzzle loading (RML) gun emplacements. 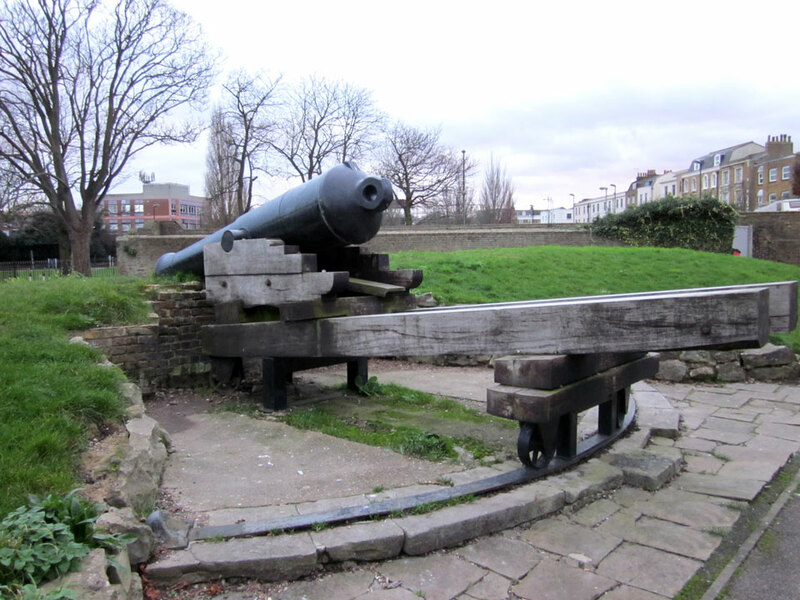 Unlike most fortifications of that time seven of the ten 7-inch guns were only protected by a shield in front of them. 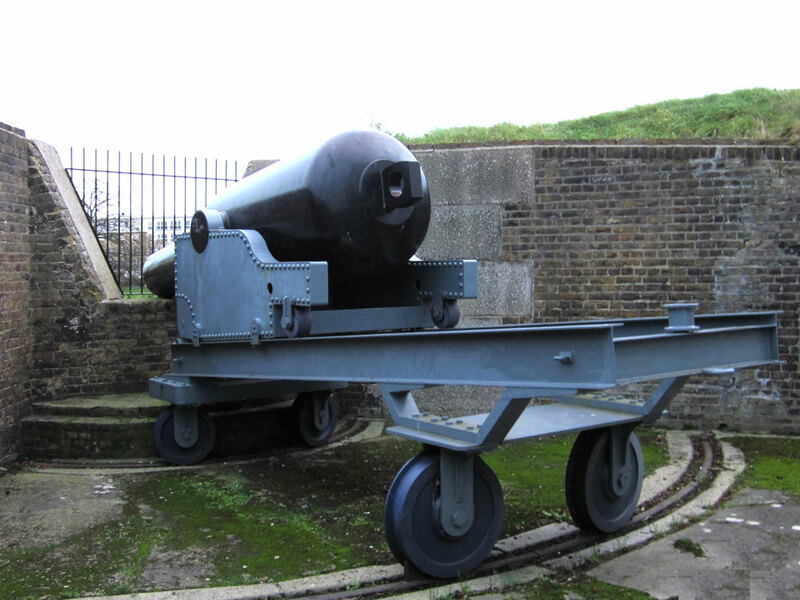 One shield remains with a replica 9-inch RML gun behind it. 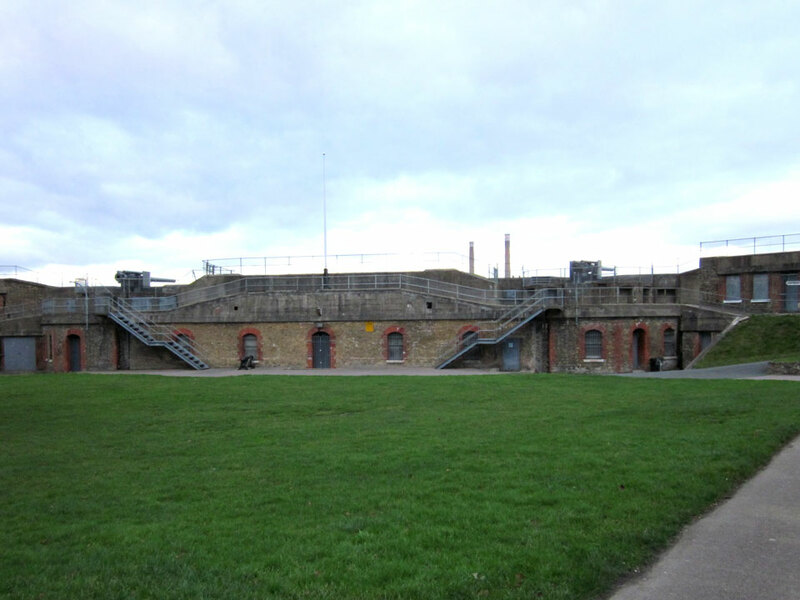 In the 1880's the armament was upgraded to nine 9-inch RMLs and then the Fort was re-armed in 1904 with two 6-inch breech loading (BL) guns which can still be seen overlooking the river. 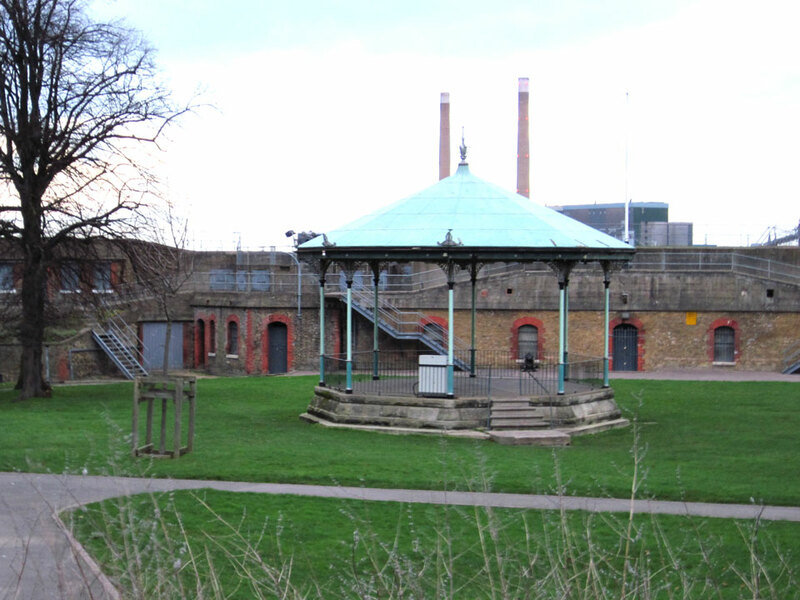 It was abandoned in the 1930s and has since been used by the local council as a public garden. 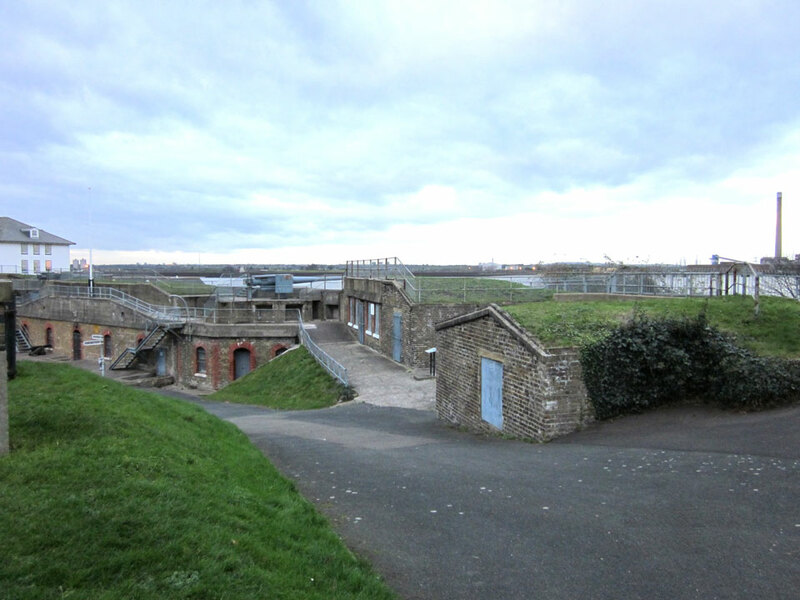 New Tavern Fort is open April - September when the underground tunnels can be visited. 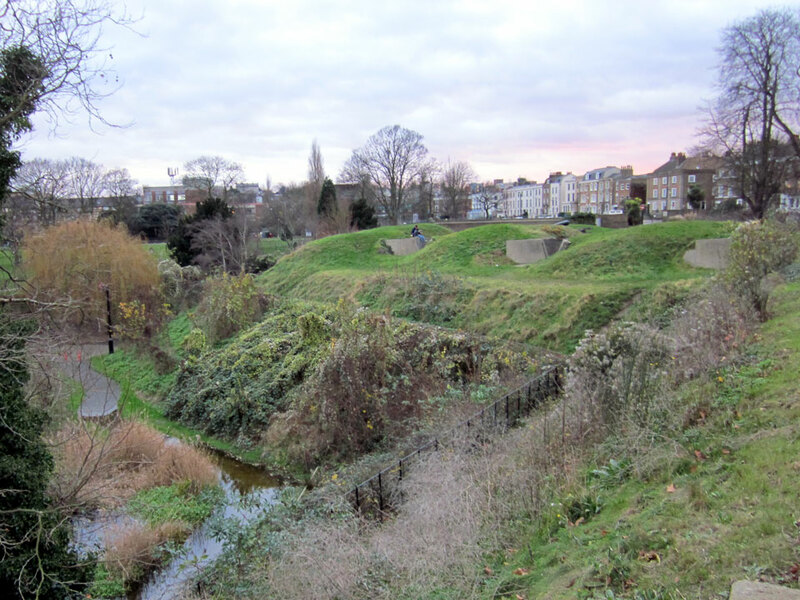 The foundations of Gravesend Blockhouse, built in 1540's, can be seen in the grounds of the Clarendon Royal Hotel nearby.